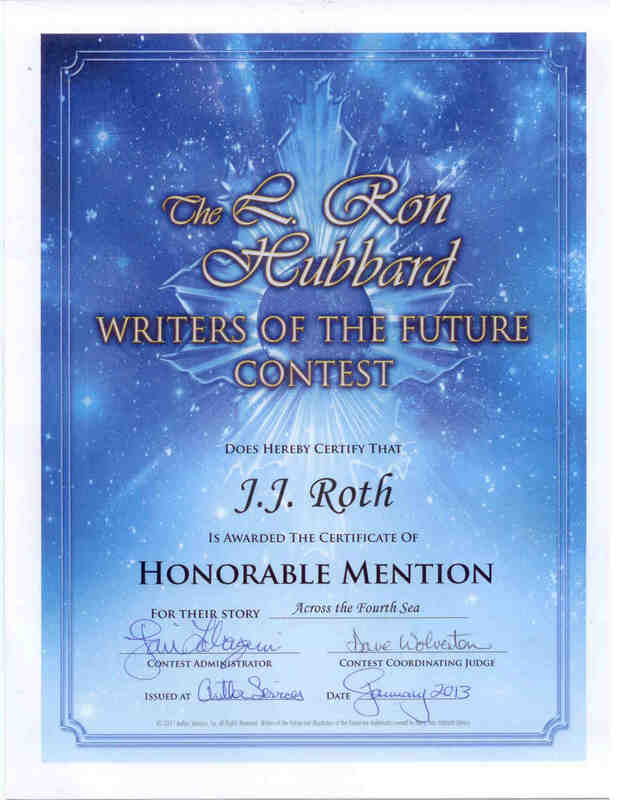 I haven’t been identifying my honorable mentions and semi-finalists in the Writers of the Future Contest by name in case a potential publisher is evaluating one of my submissions and visits my site. I don’t know whether a given publisher will consider a contest shortlisting a good thing or a bad thing. In the “literary fiction” arena, from whence I hail, shortlistings are generally a good thing. But I’m still learning the mores of genre submitting, and to make things more complicated, there seems to be conflicting information on just about everything having to do with submitting to genre publications. As a lawyer, I’ve learned the value of keeping one’s mouth shut when in doubt and it seems silly to take the risk of prejudicing a decision, so I’ve kept mum on the subject. I’m eagerly awaiting my contributor copy of ASIM 59, which I’m told will be winging its way to me shortly. Stirling Castle, one of several castles we visited. I have many, many pictures of this one, as it’s a large complex of buildings, almost all of which are accessible to visitors. The day we were there, the tapestry weaving demonstration was closed, but other than that we saw all there was to see, including the kitchens, the prison cells, the great hall, and the royal bedrooms. 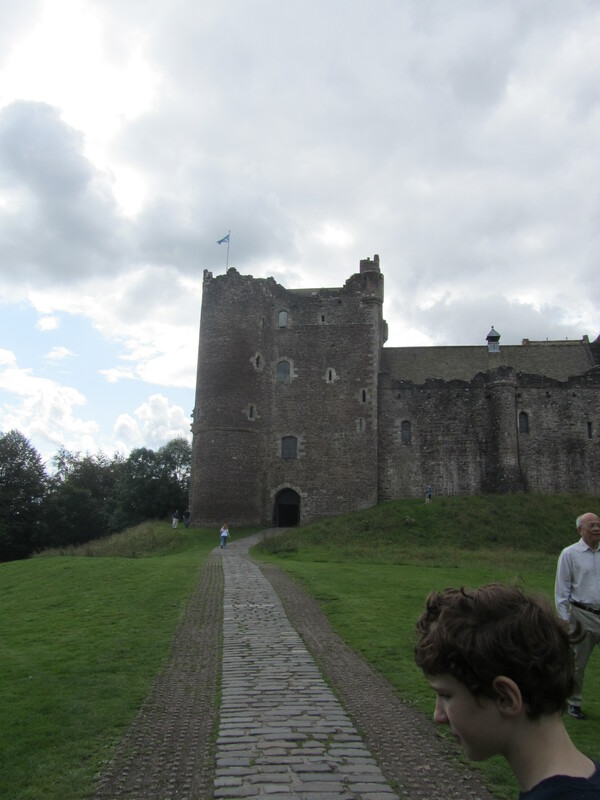 Doune Castle, famous as a movie location, among other things. 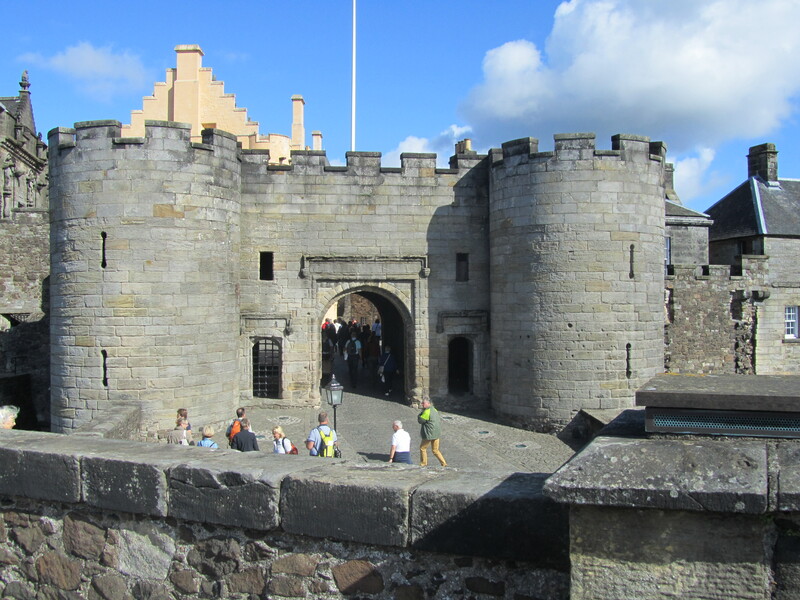 You may recognize it from any number of films and television programs, including Monty Python and the Holy Grail, Game of Thrones, and the new Outlander series. 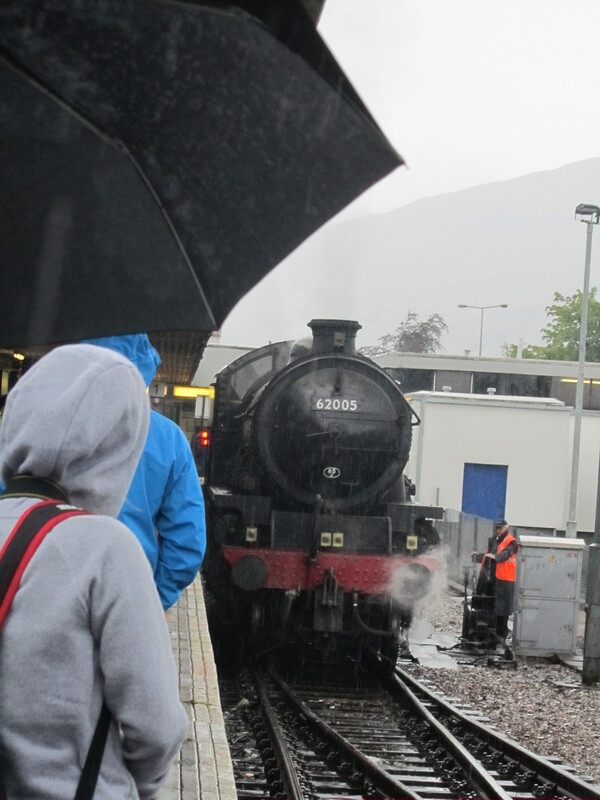 We only saw this one from the outside because we were running off to Loch Lomond. 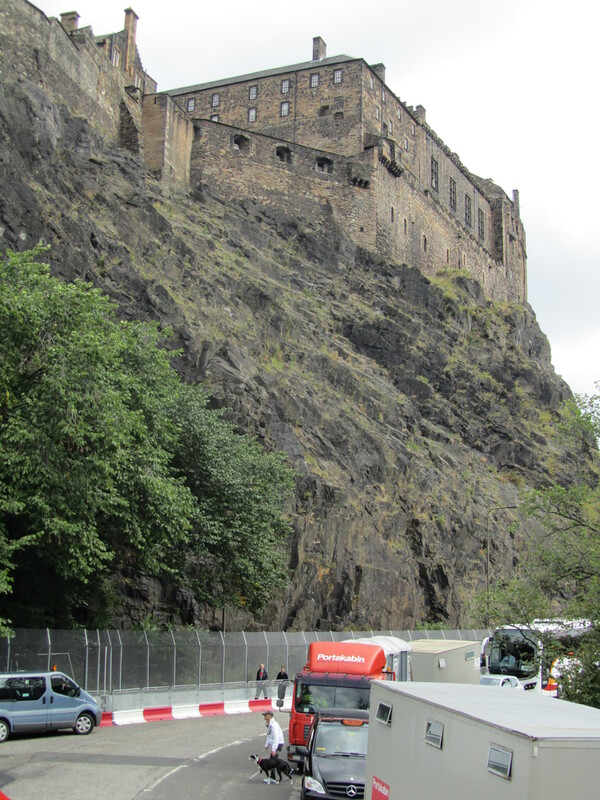 Edinburgh Castle. A striking building from the outside, perched as it is atop volcanic rock at the end of the Royal Mile, seen here from the top of a double decker city tour bus. Interesting, especially for us history buffs, but small, on the inside. There’s much more to see at Stirling in terms of square footage, but as this is one of Edinburgh’s main attractions, it’s worth a visit. 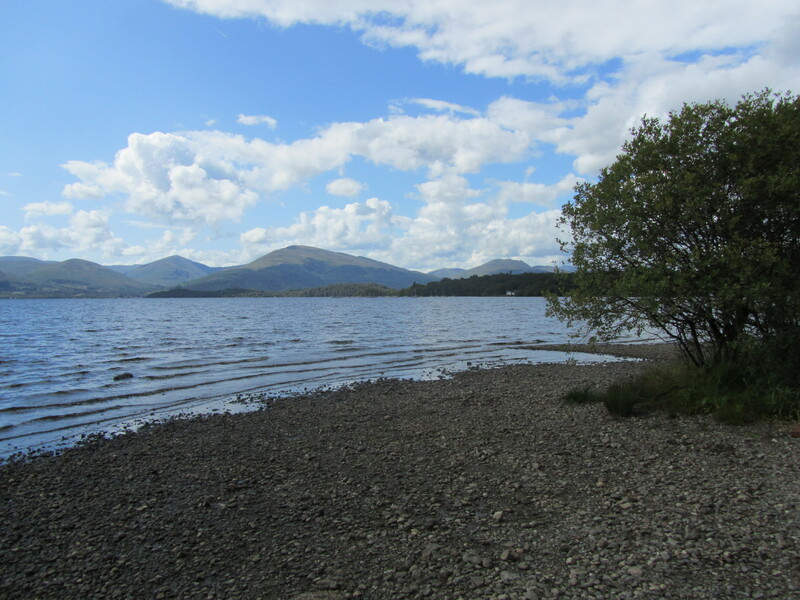 The bonnie, bonnie banks of Loch Lomond. A gorgeous, peaceful lake in an idyllic wooded setting. 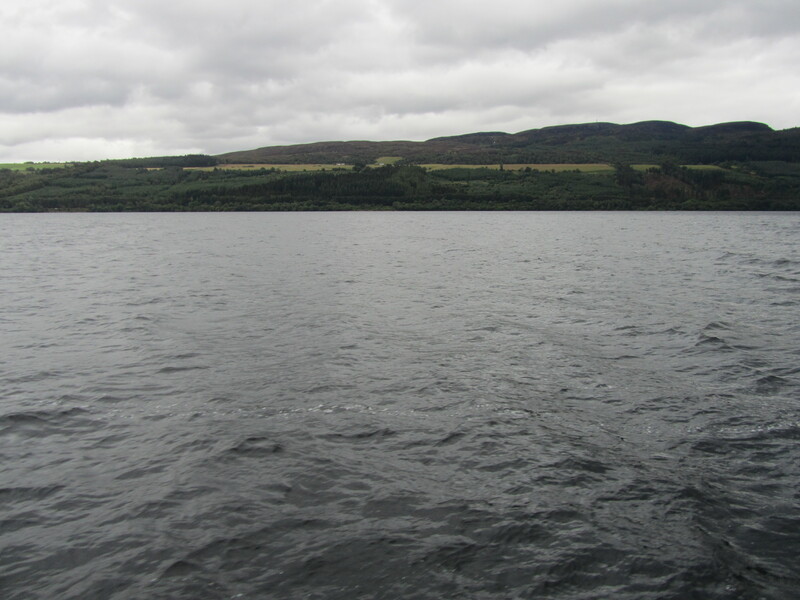 The dark waters of Loch Ness. Nessie did not make an appearance during our boat ride on the loch, but I had a beer called Nessie’s Monster Mash from the bar on board. Enough of those and you’ll see her doing the Macarena in a polka dot chiffon dress. The Jacobite Steam Train, aka Hogwarts Express, which you can ride on a route that travels over the viaduct pictured above. Poor train. It was photobombed by my no. 2 son’s replica of itself. Ah Scotland, I miss you and I’ve only just left. Cheers.